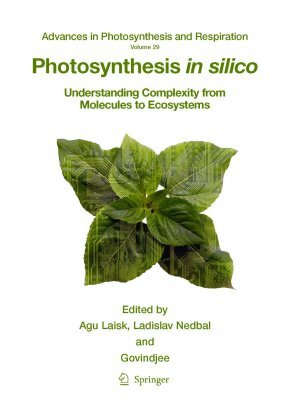 This page supports "Photosynthesis in silico" book of the Springer Series "Advances in Photosynthesis and Respiration". This site provides an open platform www.e-photosynthesis.org to present selected models from the "Photosynthesis in silico" book. With a prior consent of the authors, the models are translated to Systems Biology Mark-up Language (SBML) formal (sbml.org). The on-line simulation of photosynthetic dynamics is also possible. As a guest user, you are welcome to browse and exploit the presented models. You can do this by clicking on the "Projects" button in the top menubar. On-line help is accessible by moving the cursor to the question mark in the upper-right corner of the project screen. Registered users are provided customization features of the model simulation. To become a registered user, please create your user account by clicking on the Register item in the authentication form in the upper-left corner of the page.